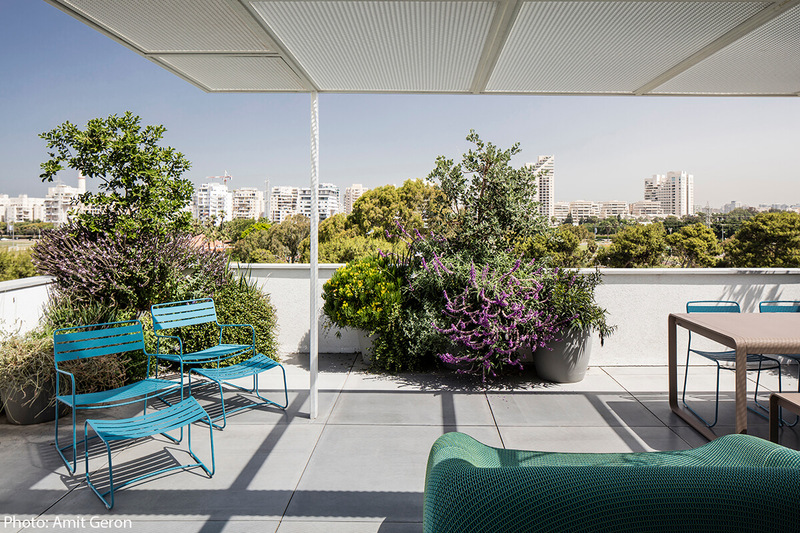 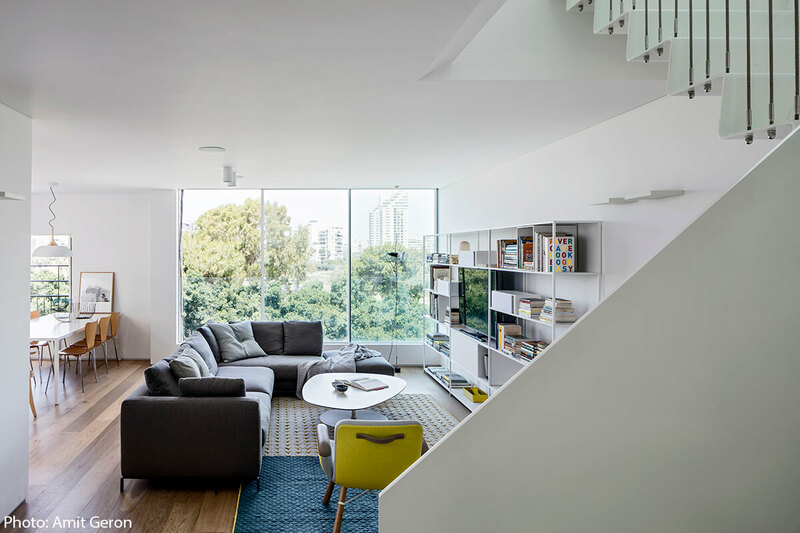 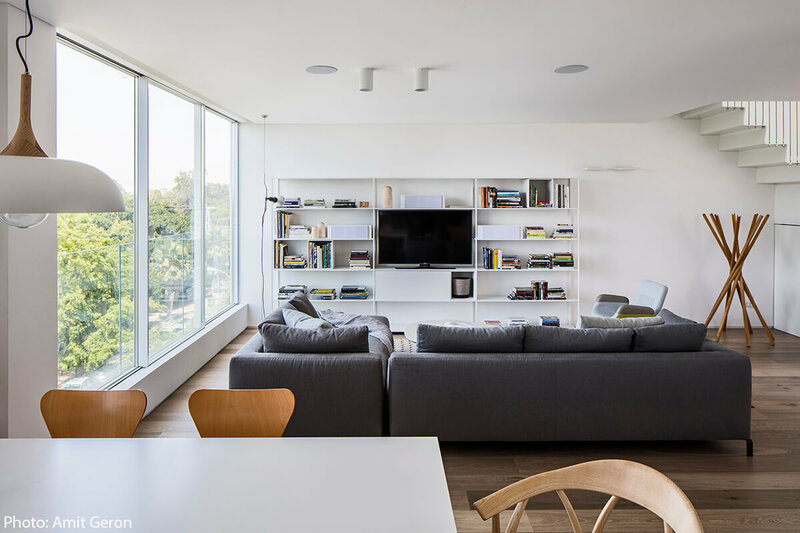 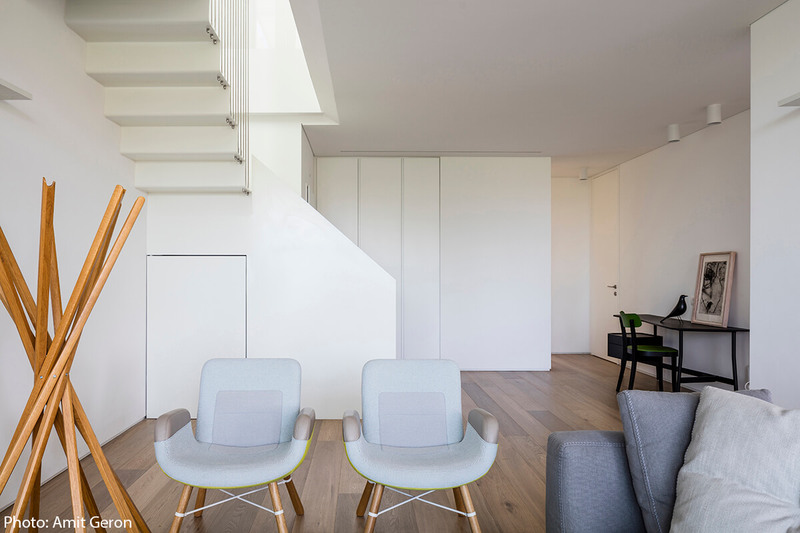 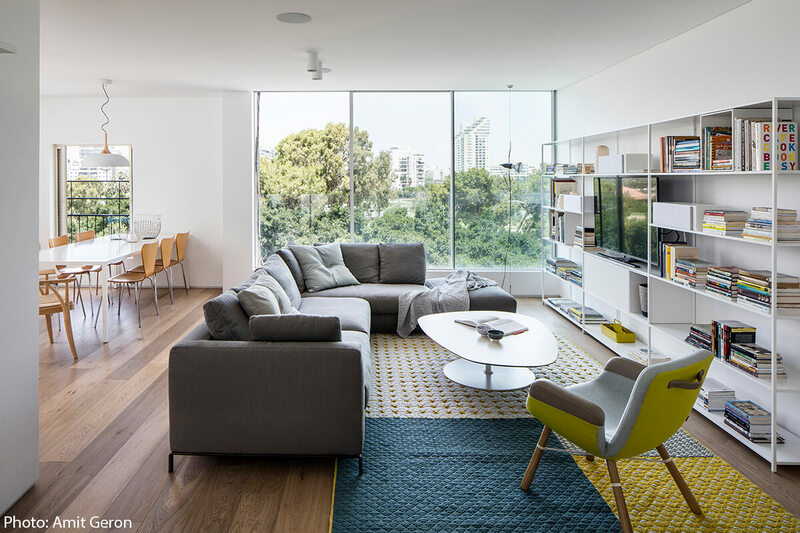 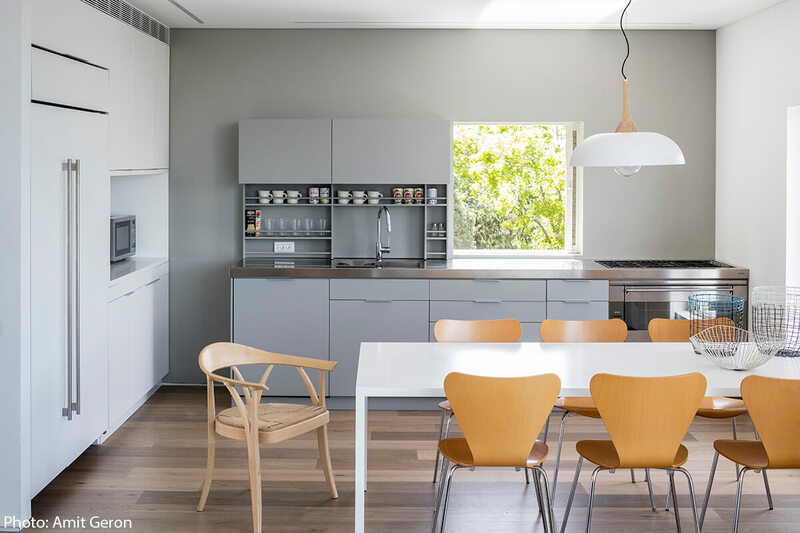 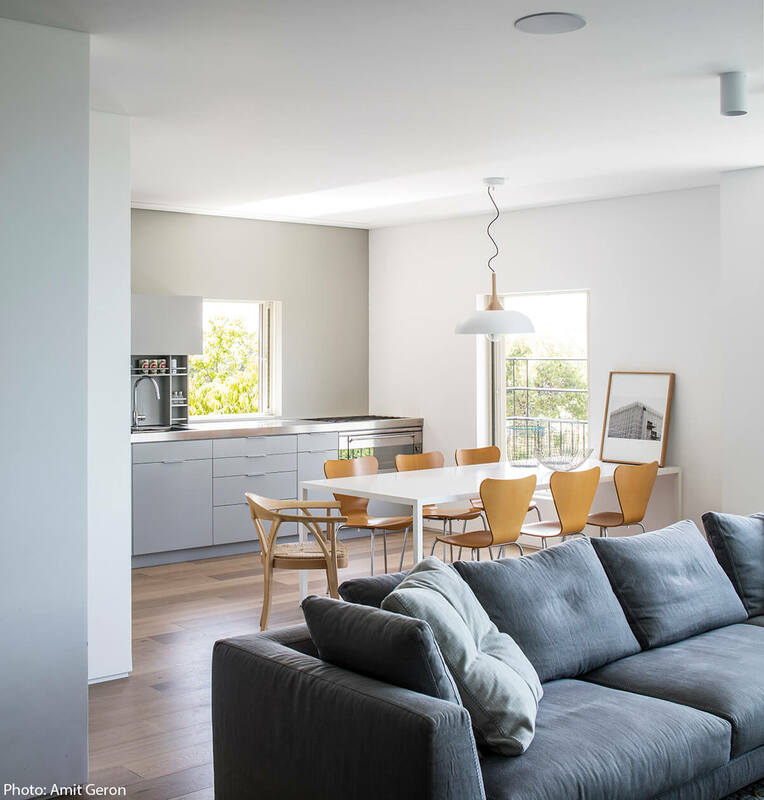 Renovation of duplex apartment at the old part of Tel Aviv. 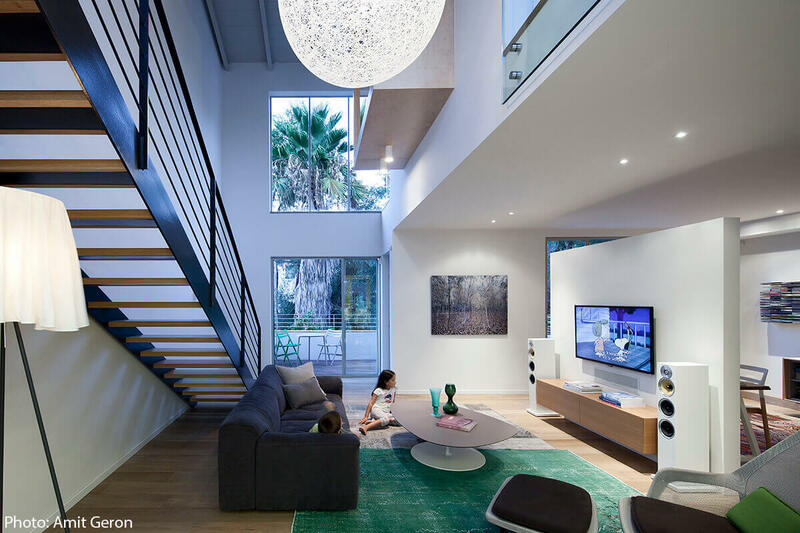 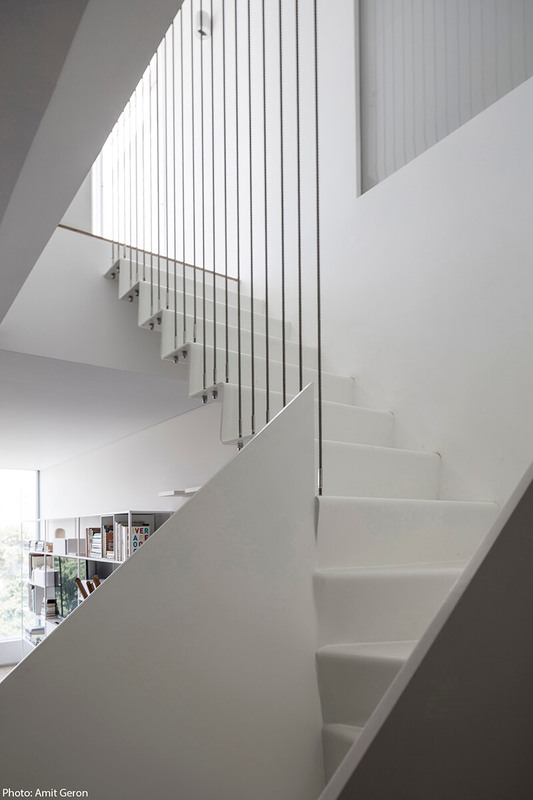 The entrance level includes the kitchen, living room and two children bedrooms. 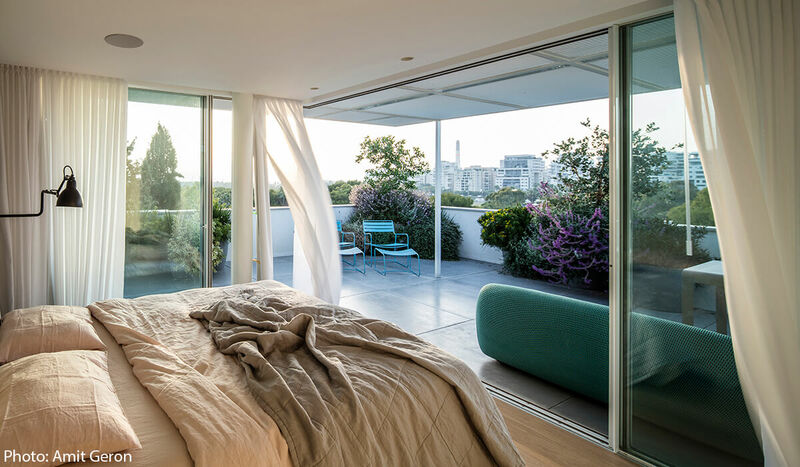 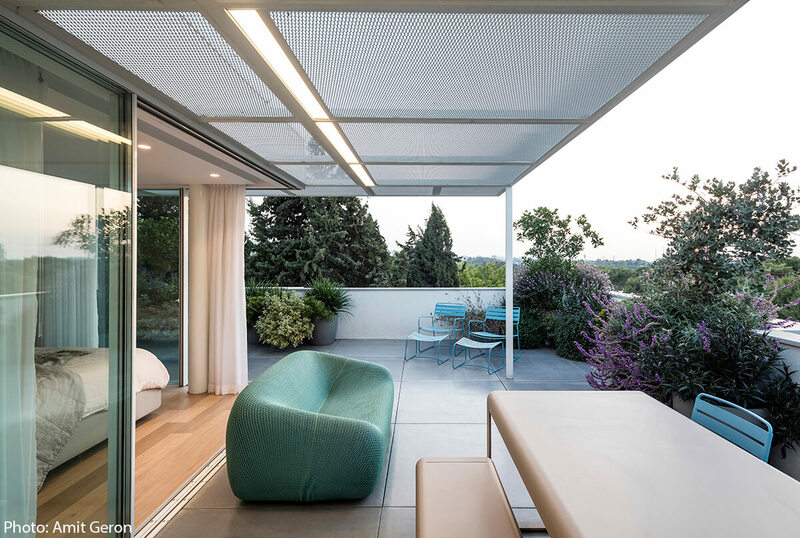 The upper floor consists of a roof terrace, a master bedroom, surrounded by glass walls and a pergola facing the green neighborhood landscape.